Jullundur, India: Asian Publishers, 1967. Cloth. Very Good/Very Good. 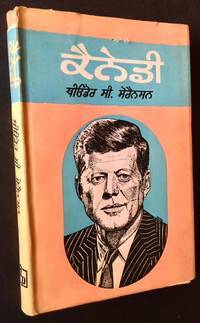 A true Kennedy rarity -- the 1st Punjabi edition of Theodore Sorensen's 1965 "Kennedy" AND the author's personal copy to boot. Stapled onto the dustjacket's front flap is the "Transmittal slip", which states December 1967 as date of publication, 5,000 as number of copies published and Punjabi as the language. Solid and VG in its light-red cloth, with some streaking and very minor soiling to the panels. And in a bright, VG example of the fragile pictorial dustajcket (a drawn portrait of JFK adorning the front cover), with a 1/2" chip at the spine crown and just a touch of slight creasing along the edges. Octavo, a solid, very presentable copy of this wonderful JFK curiosity. ArtsEdition, 2006. Cloth. Fine/Fine. 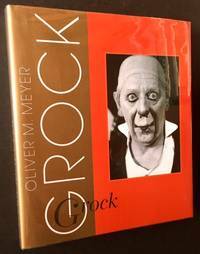 A beautiful copy of the 2006 1st edition of this exhaustive biography of the Swiss clown Grock (1880-1959). 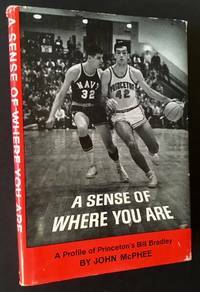 Tight and Fine in a crisp, Fine dustjacket. Quarto, hundreds of wonderful black-and-white photos thruout. Also includes the publisher's CD (at the rear pastedown) and laid-in ephemera (a promotional booklet as well as a "Grock" postcard). Text in German. New York: McGraw-Hill, 1970. Cloth. Near Fine/Very Good +. 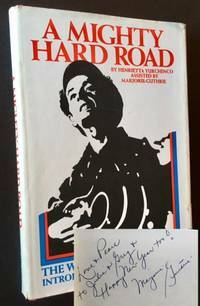 WARMLY INSCRIBED BY WOODY GUTHRIE'S WIDOW MARJORIE GUTHRIE on the half-title. A very solid copy to boot of the 1970 1st edition. Tight and Near Fine (very light foxing at the endsheets and along the fore-edge) in a crisp, price-intact ($4.95), VG+ dustjacket, with several tiny closed tears along the panel edges and just a touch of light soiling at the flap-folds. Octavo, "assisted" by Marjorie Guthrie, Introduction by Arlo Guthrie. Ample black-and-white photos thruout complementing the text. New York: The Macmillan Company, 1932. Cloth. Very Good/Very Good +. 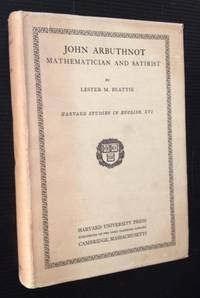 A handsome copy of the October 1932 1st edition. Tight and VG (pronounced offsetting at the pastedowns) in a crisp, price-clipped, VG+ dustjacket, with light creasing at the front panel and very light chipping --with several tiny closed tears-- along the panel edges and spine ends. Thick octavo, deckled fore-edge, crisp black-and-white photos thruout. New York: The John Day Company, 1936. Cloth. Very Good +/Near Fine. A tight, very solid copy of the 1936 1st edition. Clean and VG+ (a touch of offsetting along the panel edges, light scratching at the rear panel) in a crisp, price-intact ($2.50), Near Fine dustjacket, with one small closed tear at the front panel's top-edge and just a touch of light soiling to the rear panel. Thick octavo, 308 pgs. London: John Murray, 1912. Cloth. Very Good +. 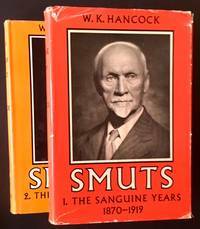 A handsome copy of the 1912 1st edition, complete in 2 volumes. Both volumes clean and VG+ in their chocolate-brown cloth, with crisp gilt-titling along the spines. Former owner bookplate at both front pastedowns, otherwise very clean internally. Thick octavos, each volume includes a number of portraits and illustrations. London: Chapman & Hall, 1893. Decorative Cloth. Very Good. 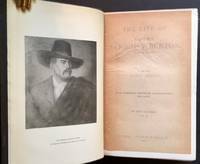 The 1893 1st edition of this sweeping biography of Sir Richard Burton, by his wife Isabel Burton. Vol. II only. Tight and VG in its wonderful gilt-decorated dark cloth, with light wear at the spine crown. Thick octavo, 664 pgs., "numerous portraits, illustrations and maps"
New York: Brentano's, 1913. Decorative Cloth. Very Good. 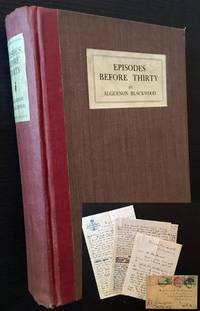 The 1913 1st American edition. Tight and VG in its light-blue cloth, with bright gilt-titling and design along the front panel and spine. Light fading to the spine, one closed tear at its crown. Thick octavo, 489 pgs., with a Preface by Emile Faguet. New York: Alfred A. Knopf, 1932. Cloth. Very Good +/Very Good. 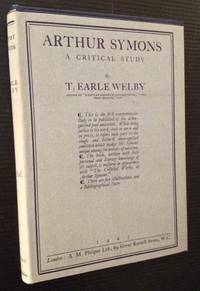 A solid copy of the Feb. 1923 1st American edition. Tight and VG+ (just a touch of soiling to the spine) in a crisp, price-clipped, VG dustjacket, with light fading along the spine and light creasing to the panel edges. Thick 12mo, 250 pgs. Cambridge University Press, 1968. Cloth. Near Fine/Very Good +. A handsome copy of the 1962 and 1968 1st editions of this exhaustive biography of a leader who "stands with his friends Churchill and Gandhi in the front rank of Commonwealth and World statesmen", complete in 2 volumes. Both volumes tight and Near Fine in crisp, VG+ dustjackets, with light creasing --and several small closed tears-- along the panel edges of Vol. II. Thick octavos, several fold-out maps thruout. Vol. 1: The Sanguine Years 1870-1919 and Vol. 2: The Fields of Force 1919-1950. New York: Farrar , Straus and Giroux, 1965. Cloth. Very Good +/Near Fine. A tight, very sharp copy of the 1965 stated 1st printing. 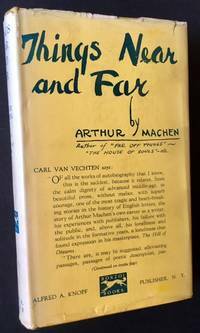 Clean and VG+ (very light spotting at the panels, tiny indentations to the preliminaries) in a crisp, price-intact ("$3.75"), unusually nice example of the pictorial dustjacket, with no fading whatsover along the spine. The orange, which almost invariably fades at least to some degree, in this case is as strong and vibrant as the day the book was published and the dustjacket overall, which shows just a touch of rubbing to the front tips and the slightest bit of creasing at the spine crown, easily merits a Near Fine. 12mo, a very impressive copy of McPhee's seminal first book, in a remarkably bright dustjacket. Hebron, Connecticut: Feather and Good Publishers, 1939. Cloth. Very Good +/Very Good. 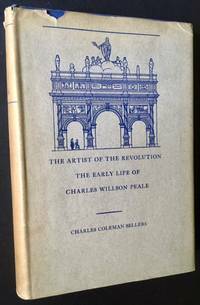 A solid copy of the 1939 1st edition of the first volume of this sweeping biography of one of the pre-eminent painters of the American Revolution, Charles Willson Peale. Solid and VG+ in its deep-blue cloth, with bright gilt-insignia and lettering along the front panel and spine. 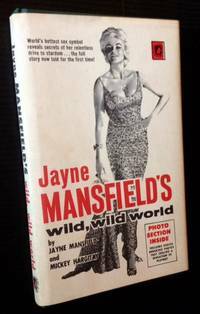 And in a crisp, price-clipped, VG dustjacket, with very light chipping and creasing to the spine crown and the panel edges. Mild darkening as well at the spine. Thick octavo, a number of reproductions of Peale's legendary portraits thruout. Munich: Self-published, 1959. Original wraps. Near Fine/Near Fine. 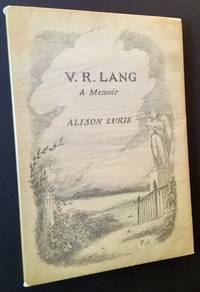 A crisp, near-pristine copy of this uncommon 1959 self-published tribute to poet and playwright V.R. Lang. Clean and Near Fine in its pictorial wrappers. And in a crisp, Near Fine example of the glassine dustjacket, with just a touch of wear at the spine ends. Octavo, limited to only 300 copies. London: Hutchinson & Co, 1920. Cloth. Good +/Good +. 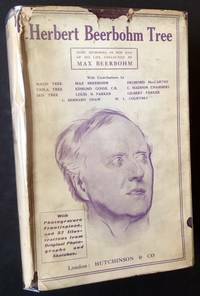 The 1920 1st edition of this collection of reminiscences of the great British stage actor Herbert Beerbohm Tree. Tight and Good+ (notable scratching to the panels and chipping at the spine crown) in a bright, Good+ dustjacket, with chipping along the panel edges and spine ends, and one closed tear across the spine. Still though, quite presentable in its pictorial dustjacket. Thick octavo, "photogravure frontispiece and 57 illustrations"
Princeton University Press, 1967. Cloth. Very Good +/Very Good +. 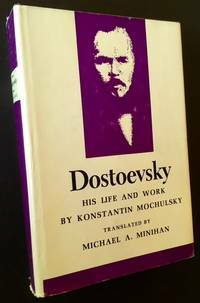 A very sharp copy of the 1967 1st American edition, translated from its original Russian by Michael A. Minihan. Clean and VG+ in a crisp, price-intact, VG+ dustjacket, with very light rubbing to the panels and just a touch of wear along the spine ends. Thick octavo, 687 pgs. New York: E.P. Dutton & Co, 1924. Cloth. Very Good +. 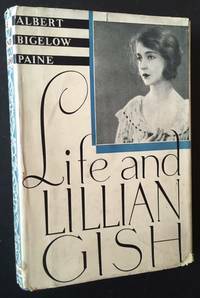 A solid copy of the 1924 1st American edition of this early autobiography, limited to 1,500 copies. 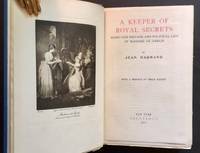 INCLUDED WITH THIS COPY ARE 2 ALGERNON BLACKWOOD ALSs AND HALF A DOZEN OR SO LONG LETTERS BETWEEN 2 WOMEN (ONE OF WHOM HE HAD HERE WRITTEN), DISCUSSING THIS CURIOUS LITERARY FIGURE. The book has held up nicely and is tight and VG+ in its duotone cloth, with light bumping to the front upper tip and small, neat former owner inscription at the front free endpaper. Thick octavo, handsome frontispiece portrait of the author. Los Angeles: Holloway House, 1964. Cloth. Near Fine/Near Fine. A crisp, very sharp example of the 1964 uncommon hardback edition (technically, the 2nd edition, following the more common paperback edition). Clean and Near Fine (very light toning to the pages, light offsetting at the pastedowns) in a bright, Near Fine dustjacket. 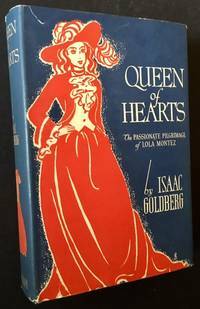 12mo, wonderful offering by LA's seamy, underappreciated Holloway House, publisher of early works by giants such as Bukowski, Iceberg Slim, Donald Goines, etc. New York: Grosset & Dunlap, 1930. Cloth. Near Fine/Very Good. 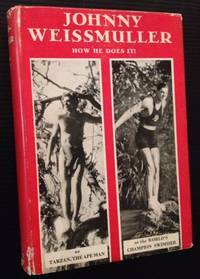 The 1930 1st edition of this swimming instructional (and part autobiography) by the great swimming champion of his era Johnny Weissmuller. Clean and Near Fine in a bright, VG dustjacket, with light creasing and wear along the spine base and at the rear panel's lower-edge. Thick 12mo, 190 pgs., including a number of crisp black-and-white photos. London: A.M. Philpot Ltd, 1925. Cloth. Fine/Fine. A gorgeous, near-pristine copy of the 1925 1st edition. Clean and Fine in its navy-blue cloth. And in a crisp, Near Fine to Fine dustjacket, with no flaws to speak of. Octavo, 148 uncut pgs. Remarkably well-preserved given its age. Harvard University Press, 1935. Cloth. Near Fine/Very Good +. A crisp, sharp copy of the 1935 1st edition. Clean, tight and Near Fine in a bright, price-intact, VG+ to Near Fine dustjacket, with light offsetting at the front panel and very mild darkening along the spine. Thick octavo, 432 pgs. Also includes a laid-in copy of Harvard University Press's "With the Compliments of the Author" slip.